In Los Angeles, a motion to suppress evidence can result in all evidence used against the defendant being thrown out. This motion will be granted in cases where the judge determines that the evidence was not legally obtained and therefore cannot be used against the defendant. 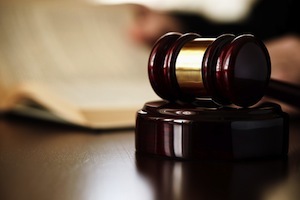 Usually, when the judge grants a defendant’s motion to suppress, the prosecution will be unable to move forward with their case and will have no choice but to dismiss the charges. Under California Penal Code Section 1538.5 PC, the defense can make a motion to suppress evidence that was unlawfully obtained. Under the law, unlawfully obtained evidence can include evidence that was discovered without a search warrant as the result of an unreasonable search and/or seizure or evidence obtained with a warrant where the warrant was legally deficient, the evidence was not what was described in the warrant, the warrant was issued without probable cause or the search was conducted in a manner that violated the United States or California Constitution. A motion to suppress evidence is usually heard during a pretrial hearing. For felony level offenses, the motion to suppress evidence can also be heard at the same time as the defendant’s preliminary hearing. Even though the motion to suppress evidence is filed by the defense, the burden of proof would be on the prosecutor to establish that a warrantless search was reasonable. However, if a warrant had been obtained, the warrant is presumed to be legal and the defense bears the burden of showing that the warrant was not legal. The standard of proof for a motion to suppress evidence is “preponderance of the evidence.” This means that whatever side has the burden of proof must show that it is more likely than not their position is correct. In order for a defendant to be able to challenge the validity of a search, he or she must be able to show that there was a valid expectation of privacy in the location that was searched. If the defendant lacked a reasonable expectation of privacy, he or she would not have standing to challenge the search. Places that a defendant has been found to have a reasonable expectation of privacy include the defendant’s home, car, cellphone, school locker and hotel room. Courts have found that no expectation of privacy exists in a person’s garbage (which can be searched without a warrant or reasonable cause), a car which the defendant has stolen or a car that the defendant is a passenger in. Many motion to suppress hearings are argued in cases where there was an unlawful traffic stop. In California, an officer must have reasonable cause to believe that a driver is in violation of the law before that officer can justify pulling the driver over. If the officer is found to have lacked reasonable cause to stop the vehicle, all evidence deriving from the traffic stop will be suppressed. This would include any narcotics that were found during a subsequent search of the vehicle as well as any blood or breath evidence taken from the defendant if he or she is ultimately arrested for driving under the influence. At the suppression hearing, the prosecution will present witnesses and evidence that supports its position. Generally, the officer who conducted the questionable search or executed the warrant will be called to testify. The defense will have a chance to cross-examine this witness and challenge his or her statements. The defense can also call its own witnesses and the defendant would have an opportunity to testify at the suppression hearing. In many cases, the judge will ask questions of the witnesses during the presentation of evidence. After witnesses have testified, the prosecution and defense are permitted to present oral arguments. The judge will then decide whether or not to grant the defendant’s motion to suppress evidence. If the defendant’s motion to suppress is denied, there are limited situations where he or she would be able to file a writ with the Court of Appeals and request that the criminal proceedings be stayed while the decision on the suppression motion is appealed. If you are facing criminal charges, it is important that you consult with a Los Angeles Criminal Defense Lawyer immediately. Los Angeles Criminal Defense Attorney Michael Kraut is a former Deputy District Attorney with over 14 years of prosecutorial experience who knows how to effectively litigate suppression motions on behalf of his clients. For more information about Los Angeles motions to suppress, contact Los Angeles Criminal Defense Attorney Michael Kraut at the Kraut Law Group located at 6255 Sunset Boulevard, Suite 1480, Los Angeles, CA 90028. Mr. Kraut can be reached 24/7 at 888-334-6344 or 323-464-6453.